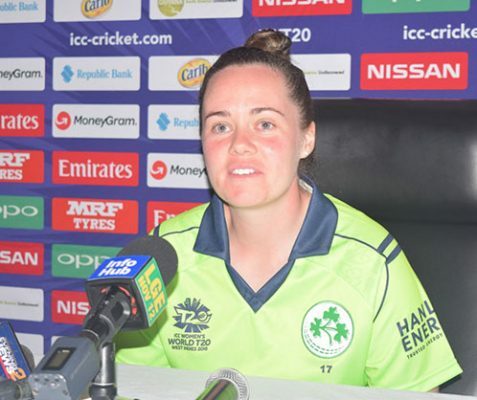 Ahead of their first warm-up match tomorrow before bowling off the International Cricket Council’s Women’s World T20 tournament, the Ireland and Bangladesh camps have cited current form and good preparation as key factors for them. 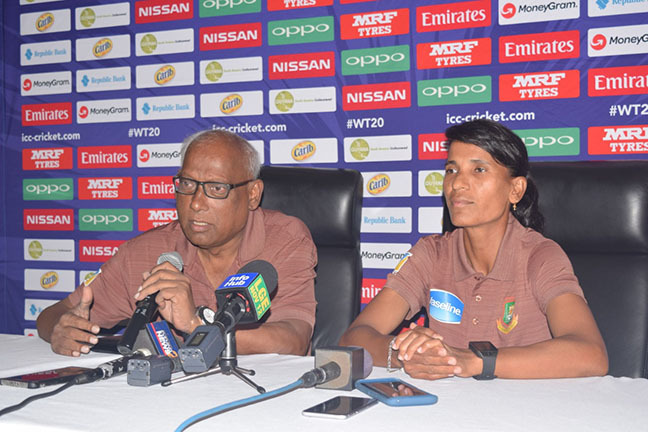 At the Marriott Hotel in Kingston yesterday, Irish captain, Laura Delany and Bangladesh’s skipper Salma Khatun were the key figures at the first official press conference of the tournament. Delany, who will be captaining the side for the first time in a world tournament said the conditions are obviously different compared to Ireland but has credited a week’s long stay in the country as well as some good sessions at the Providence Stadium to making the acclimatization better. 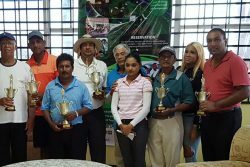 On the other hand, Khatun noted that they had not seen the venue as yet and don’t know the local conditions but have been in the Caribbean a while and are getting accustomed to the climate and time zone which poses the most difficulty. Ahead of the tournament, Delany said there will be different targets and strategies for each game with their eyes especially on Australia and Pakistan, acknowledging the competitiveness in the group. The 25-year-old said that the team intends to hit the ground running and after a good summer in New Zealand and Bangladesh, the form is good. However, she personally needs to get herself on the board having only recently recovered from injury. But it is not Delany alone as she mentioned the likes of Gabby Lewis, the top order batter who holds the record for the youngest person to make an international debut as well as Isobel Joyce and Kim Garth who all made impacts in the Big Bash League. 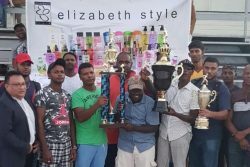 With the line up looking solid, Delany believes that if they play the cricket they can play and remain consistent with the ball, they will be happy with the results in the tournament. Similarly, Khatun is happy with the composition of the squad, pointing out the various mixtures in the side that came together and have worked hard over the last few months. Khatun expressed her confidence in making the top four but is wary that the tournament is a challenging one, however remaining consistent at this level will be critical. The two go head to head tomorrow at 4 pm at the Providence National Stadium.